In Memphis, Tenn., supporting students means looking beyond the classroom walls. One organization in Memphis, Communities In Schools of Tennessee, applied this idea to reducing chronic absenteeism, or students missing 18 or more days of school. With attendance data provided by StriveTogether Cradle to Career Network member Seeding Success, Communities In Schools of Tennessee identified which students needed help in 15 Shelby County schools. Then, Communities In Schools of Tennessee worked with those children and their parents to find ways to encourage them to go to class — for example, giving students permission to wear clothes other than the normal uniform. A year later, these efforts moved 634 students out of chronic absenteeism — a 27 percent drop in the number of chronically absent students at the 15 participating schools. According to a report prepared by Seeding Success, the experience showed an effective strategy to improve attendance is a one-on-one relationship where an adult at the school checks in with the student on a daily basis. Communities In Schools of Tennessee says support from Seeding Success on data use was critical. “As an organization, we thought we had processes and systems in place to help us use data to drive our work,” says Sonji Branch, executive director of Communities In Schools of Tennessee. But through working with Seeding Success, Branch saw improvement. “We realized we really didn’t have those things in place,” she said. The answer was Beyond the Classroom. Beyond the Classroom launched in September 2016. Seeding Success gave technical assistance to five Memphis community-based organizations, including Communities In Schools of Tennessee, to tackle questions like: How do we keep track of how much children are reading? And what should we do with those numbers? This work is taking place in a city where 44.7 percent of the city’s children younger than 18 are living in poverty, according to a University of Memphis report. That number is more than double the 19.5 percent of children living in poverty across the country. Memphis landed in the bottom third of test results in the National Assessment of Education Progress when compared with 27 large U.S. cities, according to an April report by Chalkbeat. Memphis leaders are fighting hard to ensure poverty is not destiny for its children. Although Shelby County Schools noted that Memphis fourth-graders “surpassed their peers in cities like ours” — cities where 30 percent or more of school-age children live in poverty — the city aims to improve outcomes for every child. To give schools a boost, the Community Foundation of Greater Memphis chose Seeding Success to design and implement Beyond the Classroom. And in turn, Seeding Success identified five organizations to pilot a capacity- and capability-building effort aligned to Shelby County Schools’ “Destination 2025” goals. These goals include ensuring that 80 percent of Memphis high school graduates are ready to start college or enter the workforce. 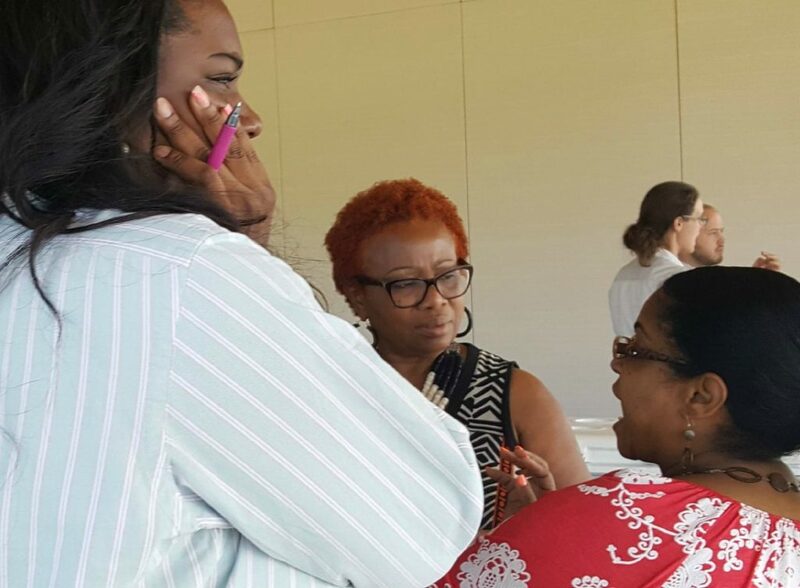 In designing the year-long project, Seeding Success staff integrated support from StriveTogether, insight from the Annie E. Casey Foundation and key concepts of continuous improvement. In addition to Communities In Schools of Tennessee, the selected organizations were Knowledge Quest, Latino Memphis, Literacy Mid-South and Porter-Leath. During its Beyond the Classroom project, Knowledge Quest focused on its reading program, with a goal of supporting more third-graders to read at grade level. 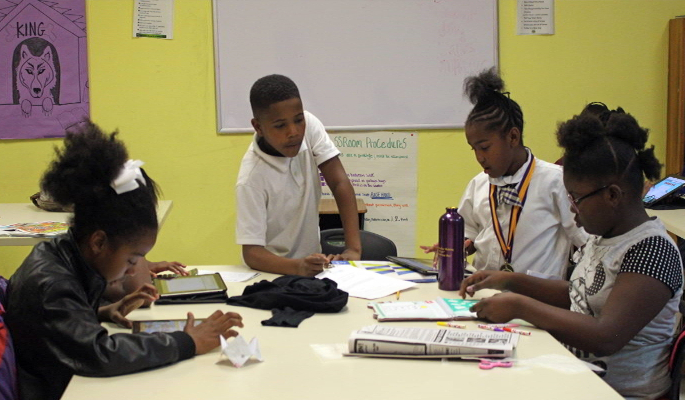 Knowledge Quest offers free after-school classes and activities at three locations in a 2-mile corridor along Walker Avenue, an impoverished section of South Memphis. Seeding Success helped Knowledge Quest improve its internal data collection practices, starting by tracking how much time children spent in the reading sessions. This data was difficult to collect, because instructors took attendance at the beginning of an after-school session, but some children left before the reading class started. To eliminate the effect of these variables, Seeding Success supported Knowledge Quest to use cloud-based software called Easy Reports. Instructors logged in to document which students were sitting in the classroom when it was time to start reading. Knowledge Quest also equipped classrooms with iPad minis and worked with city officials to update an extremely slow internet connection at one site. Foster says the experience gave Knowledge Quest data it can use to show how children’s attendance correlates with improvement in their reading. Ward agrees. “I know I’m making a difference — I can see the difference over the course of a semester,” she says. The data backs up the instructor’s assessment: Over the summer, average reading comprehension for children in Knowledge Quest’s program increased from 46 percent to 58 percent. And their average reading speed increased 8 percent. Literacy Mid-South faced similar data challenges. The organization provides technical assistance to literacy programs at community organizations, serving about 2,500 children and adults. 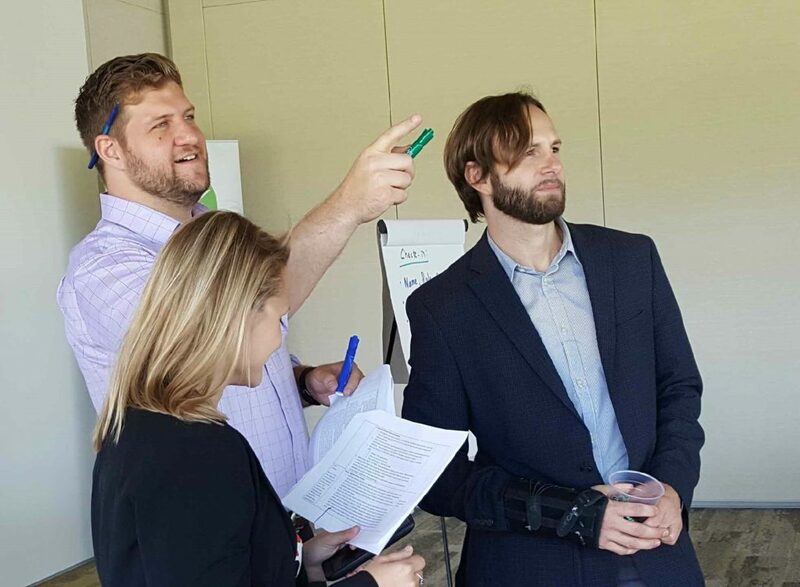 “We were collecting a fair amount of data, but we didn’t have the expertise or capacity on staff to really make sure that we had the right processes in place for collection,” says Sam Mattson, director of collaborative action for Literacy Mid-South. Literacy Mid-South has an extra challenge to data collection — it doesn’t hold any reading classes on its own. Rather, it supports other nonprofits’ literacy programs. Programs supported by Literacy Mid-South had been recording daily attendance, but they lacked detailed information about participation in the reading program. After Beyond the Classroom, those numbers improved. Last summer, Mattson shares, 1,077 children took pre-assessments, and 745 students took post-assessments. “It’s a massive improvement in collection and understanding which students we’re serving,” he says. 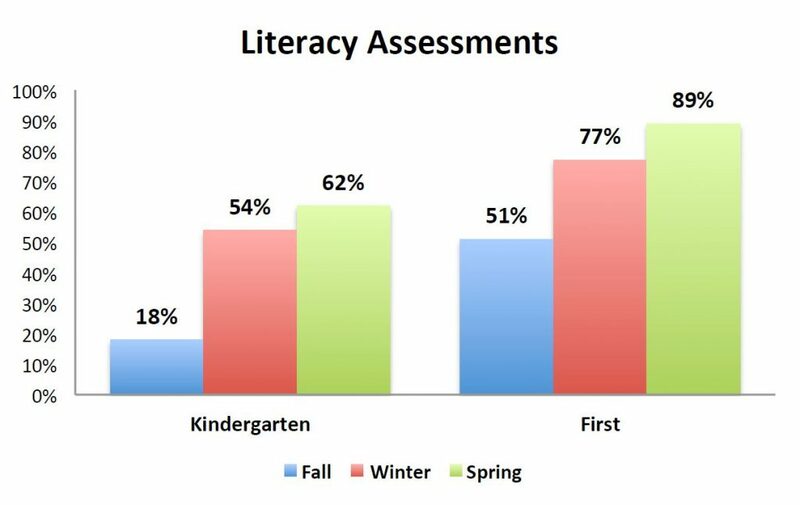 Literacy Mid-South also saw an improvement in the percentage of students who retained or improved their reading skills over the course of the summer. This number increased from 81 percent in the previous year to 84 percent last year, Mattson says. The average growth in reading comprehension was 12 percentage points. That’s what Beyond the Classroom is all about, according to Sturgis of Seeding Success. “That’s the core of this project — help organizations monitor what they do on a daily basis, in a way that informs how they improve their work,” he says. The Beyond the Classroom work is led by Seeding Success staff member Kayla Brooks, network manager, with support from Courtney Robertson, network facilitator, and Kyle Cheney and Karen Bouldin, continuous improvement specialists. After the first year of Beyond the Classroom, Seeding Success is beginning another year of collaborating, this time with four different community-based organizations. Seeding Success supported five community organizations to keep better track of data, including information about student attendance and reading comprehension. Communities In Schools of Tennessee reduced chronic absenteeism by 27 percent at 15 schools. The number of students assessed by Literacy Mid-South at the end of its summer reading programs increased 59 percent over the previous year. Knowledge Quest’s instructors now use cloud-based software called Easy Reports to document which students are in the classroom for reading lessons. Establishing data collection processes leads to more accurate data. Community organizations often face challenges to collecting data, including students leaving programming early or disruptions during learning time. With support from Seeding Success, five organizations accessed tools and resources to establish their processes for data collection and saw improvements in quality and quantity of their data. Data use leads to better student outcomes. With accurate data, organizations can assess their programming, improve their work with students and focus their efforts. Partnerships are paramount. Seeding Success is supporting Memphis students by supporting the organizations that work with them in out-of-school programming. To improve education in a city like Memphis, “you have to have effective relationships between schools, community-based organizations and multiple sectors,” says Mark Sturgis, executive director of Seeding Success.